China was the first country to receive the fifth generation Hyundai Verna, albeit with a ‘Yuena’ suffix. This year the market will get the refresh before others. The facelifted model features tweaked headlamps, possibly with LED lighting. 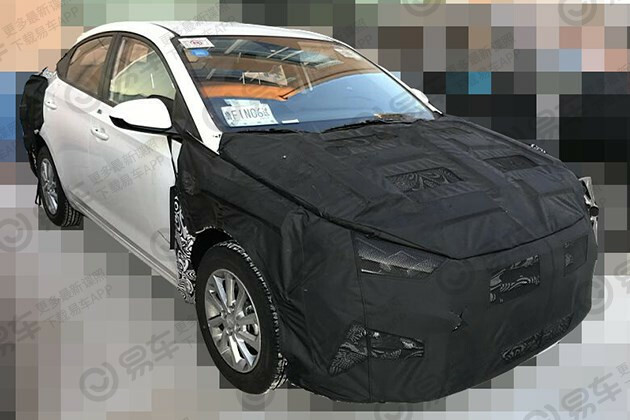 Hyundai unveiled the Verna Yuena in October 2016, when it opened the Cangzhou Plant - the production site of the sedan. 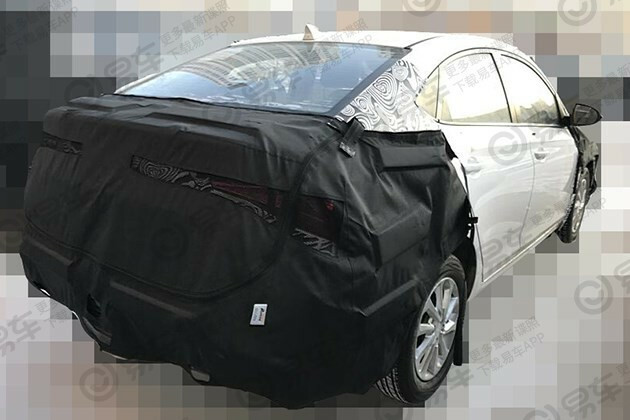 Now, a facelift is in the works, spy shots published by biauto.com reveals. Heavy camouflage hides most of the exterior changes, but changes are obvious. The facelifted model features tweaked headlamps, possibly with LED lighting. A shark fin antenna has replaced the micro antenna. The Hyundai Verna Yuena is available with 1.4- and 1.6-litre D-CVVT petrol engines, both naturally aspirated units. The 1.4-litre engine produces 73.3 kW (99.25 PS) and 132 Nm of torque, and it is paired with a 6-speed manual transmission or a 6-speed automatic transmission. The 1.6-litre engine develops 90.2 kW (122.64 PS) and 150 Nm of torque, and it sends drive to the wheels via a 6-speed automatic transmission. No word on the changes in the specifications, but the Chinese publication says that the launch is scheduled for the end of this year. The fifth generation Hyundai Verna reached India in August 2017. The Indian-spec version will receive a mid-life update in the second half of 2020. By then, it will have received all-new 1.5-litre petrol and diesel engines to comply with the BSVI emission norms that come into effect on 1 April 2020. A shark fin antenna has replaced the micro antenna on the Hyundai Verna with the facelift. In India, the Ciaz challenger will receive a pair of new 1.5L engines. Last year, the Hyundai Verna’s sales in India grew by 64% to 42,605 units, thanks to the full model change the year before. Prices currently range from INR 8,01,000-13,99,990 (ex-showroom Delhi). Hyundai Car Discounts for November 2018 - Up to INR 1.8 lakh off!